The DS160 combines power with wide angle coverage to give you the most bang for your buck. The quality of light is exceptional due to a round flash tube and custom powder coated reflector designed specifically to deliver the softest, most even coverage possible. Strobes with a straight flashtube may be capable of high powers, but require the addition of a diffuser to spread out their sharp, rectangular beam pattern and reduce the harsh hot spot. 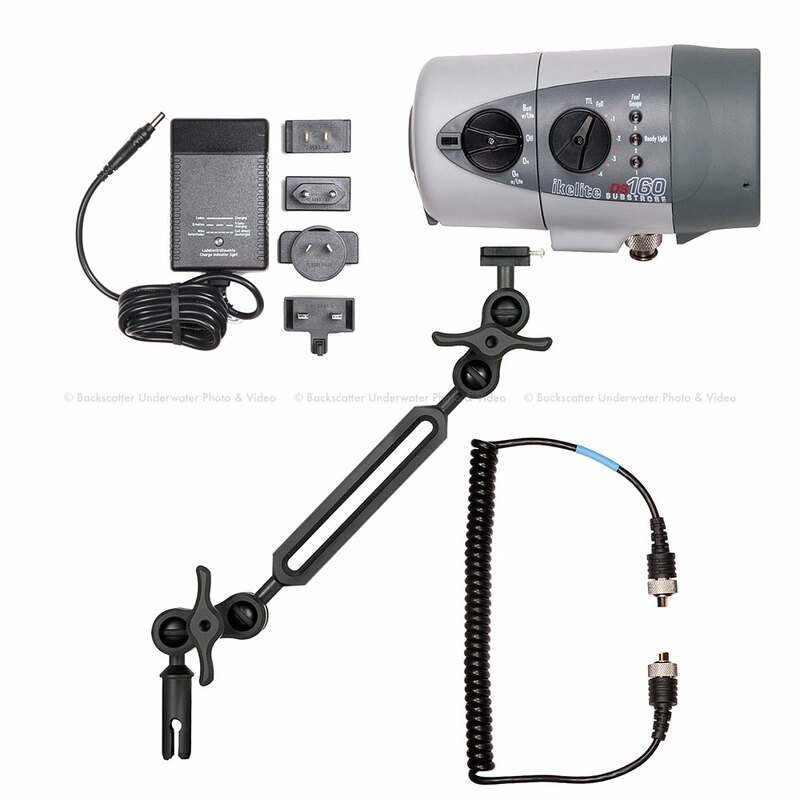 This kit includes a complete strobe arm consisting of the strobe mount, two clamps, one 7-inch (18 cm) extension, and mount to Quick Release Handle. Overall extended length of the arm is approximately 15 inches (38 cm). A great start to any system, providing flexibility to shoot both close-up and portrait work. Additional extensions and clamps can be added for wide angle work. Our Ball Arm System Mark II provides opportunities to mount an additional lightweight accessory almost anywhere along the length of an arm.